Copper — a ductile, malleable, very high-tech metal with a reddish-Golden hue, has a high conductivity, readily lends itself to any type of treatment. Bronze is an alloy of copper-based, in which the main alloying ingredient is tin. The composition can be additives of aluminum, beryllium or other elements such as phosphorus, aluminium, zinc, lead. Bronze is a copper alloy with zinc (in this case brass) and alloys of copper with Nickel. Bronze can be made without tin: so — called aluminum bronze. Various grades of bronze are widely used in modern engineering. It was created on the basis of alloy of 2 metals: Zn + Cu. Depending on the composition, the brass have a different name. 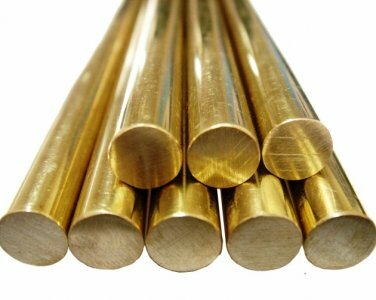 If the composition of 90% copper — alloy called red brass has good ductility and corrosion resistance, and is used not only for industry, but also designers. Sometimes the makeup of the brass alloyed with other metals, such as iron, Nickel, manganese and others. We offer you to buy bronze alloys, copper, brass at an affordable price with specialized warehouses supplier Evek GmbH with delivery to any city. Full compliance with the international quality standards. Supplier Evek GmbH offers to buy bronze, copper, brass, price is optimal in this segment of the rental. Supplier Evek GmbH offers bronze alloys, copper, brass, price is determined by the technological features of production without the inclusion of additional costs. On the company’s website shows information about latest product arrivals. You can order products in non-standard settings. We have the best price and quality for the entire range of products. Buy bronze alloys, copper, brass today. The company Evek GmbH — best supplier. Timely delivery is provided by offices in the cities of Eastern Europe.